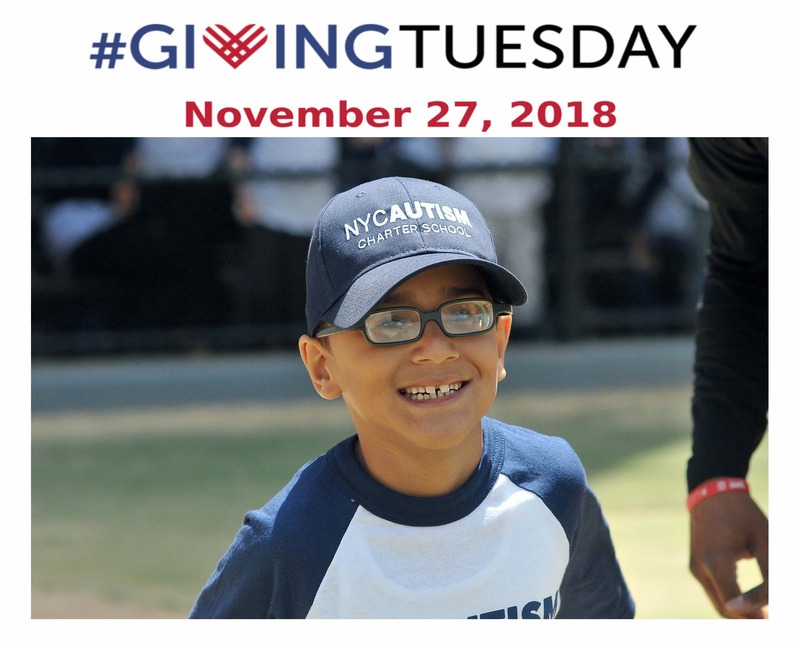 Giving Tuesday 2018 – NYC Autism Charter Schools serve children profoundly affected by autism. Most children like ours leave other school settings woefully underprepared for life, in many cases lacking the most basic self-care and life skills. This can result in a life that is all too often limited, unengaged with the community, and overly dependent upon others. NYC Autism Charter School has worked to move the needle on this outcome by: 1) providing totally individualized instruction and a personalized curriculum that is ever changing and focused on functionality, 2) using data to support curriculum choices and changes, and 3) working with families to ensure that they have the tools to be effective with their children and to access the resources and supports they need. We prioritize life skills, teach students in the environments in which they will need to use these skills (home, community), work hard to engage families, and expose students to a wide array of experiences – work internships, arts, fitness – that play to strengths and interests, and open up future opportunities. Last year, we opened our second school – NYC Autism Charter School Bronx – increasing our footprint to serve even more children and families. The quality of services a child with autism receives can have a life altering and profound impact on their future and on the lives of their families. Before NYC Autism Charter Schools, families in neighborhoods like East Harlem and the South Bronx could only dream about access to the kind of education and support our program provides. But we are making that dream a reality. Every day we are creating more and more possibilities for the children and families we serve. Please support us by clicking #CreatingMorePossibilities!